It's no secret that I've been a fan of Rockport for a few years now. I've been loving the brand mostly for their wide range of styles and for their super comfortable design but now, I'm super excited to see them on Zappos. When it comes to my footwear I love using Zappos for the fast, free delivery and their great 365 day return policy. If you're indecisive like me when it comes to online shopping, then you'll love Zappos. If I don't like something I just send it right back and choose a different style. When it comes to Rockport though, it's always hard to choose just one style. They have these super soft insoles that makes every step feel like you're walking on a cloud. 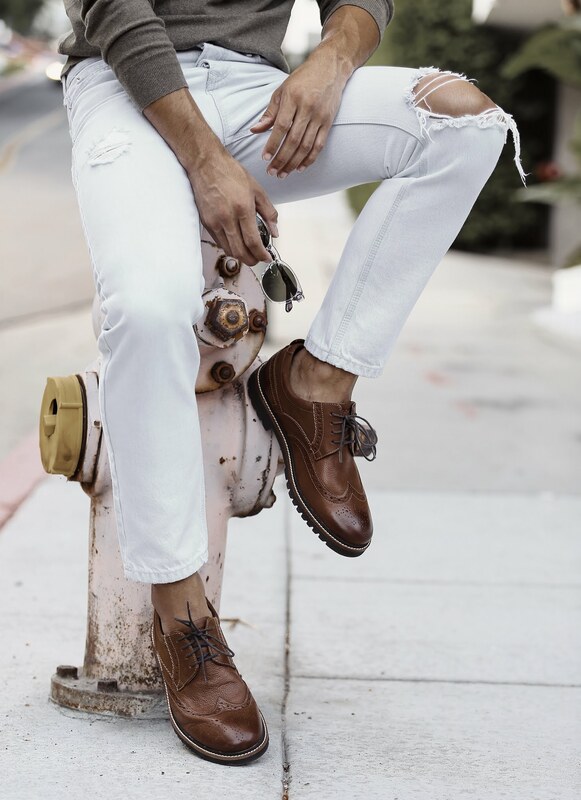 If you've had bad luck with dress shoes lasting through your day without killing your feet, then give Rockport a try - every style is built with their insole comfort technology call truTech® technology. You'll love them! I went for these Rockport Marshall Wingtips to kick off my week. Made with leather upper soles and a lightweight EVA mid and outsole, these guys don't weigh me down while I'm running around all day. They of course also have their truTech® technology which helps with shock-absorption. Head over to Zappos and check out all of their new fall styles.